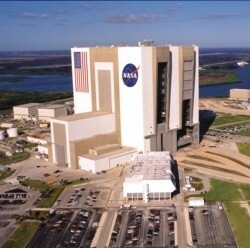 Florida isn't only known for it's sunny weather and theme parks, it is also well known for it's space coast. From the Orlando area, it's about an hour drive to the space coast, which is in the east part of the state. That's where you can visit the John F. Kennedy Space Center. This is where all Space Shuttles were launched amongst other spacecrafts and rockets. All NASA human space flights have been launched from Pads A and B at Launch Complex 39, located about 3 miles east of the Vehicle Assembly Building (VAB). Tourists and other visitors can visit KSC at the Visitor Complex. From there you can enjoy the KSC self-guided tour (this is included with admission), visit Rocket Garden, watch IMAX movies, experience the historical Apollo 8 launch, see a real Saturn V rocket, see Space Shuttle Atlantis, touch moonstones and a lot, lot more! The self-guided tours depart every 15 minutes from the Visitor Complex and allows guests to stay at each location as long as they want to, before they hop on the next bus. Last tour departs from the visitor complex at 2.30pm, keep this in mind, last time I nearly missed that bus! Parking costs: $10 per car. $5 for motorcycle, $15 per motor home/RV. Annual pass holders receive complimentary parking with proof of a valid annual pass. All vehicle traffic is routed to a parking toll plaza equipped with parking toll booths. For more information (including the unique programs, admission), visit the Kennedy Space Center website. 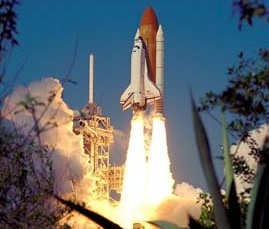 All future launch dates can be found on the NASA launch website (check 'Rocket Launches'). For a discount, you could buy your tickets at Maple Leaf Tickets.